For decades, consumer advocates have accused the Big Three credit bureaus (Experian, Equifax and TransUnion) of operating unlawfully. The campaigners' main objection has been that these companies have signally failed to meet their obligations under the Fair Credit Reporting Act to maintain accurate information in the credit reports they compile. In particular, it is alleged that these credit bureaus do not respond appropriately when consumers report errors, and that, as a result, many Americans are wrongly having their life-chances stunted through absolutely no fault of their own. Last year, the Federal Trade Commission published the results of a survey that found "one in four consumers identified errors on their credit reports that might affect their credit score." Now, at last, someone is doing something about that. In mid-June, Mississippi attorney general Jim Hood filed a complaint against Experian and the case has now transferred to a federal court in the state. Full details of the filing are not available because the company claims that examples of its alleged wrongdoing are "trade secrets." The filing may turn out to be the just first salvo fired in a long war. Two years ago, Ohio's attorney general announced that he was cooperating with close to half the nation's other state attorneys general to investigate this aspect of the Big Three's work. Federal regulator the Consumer Financial Protection Bureau is also thought to be taking an interest in the accuracy or otherwise of credit reports. Having a bad credit report can blight people's lives. It's not just that you may have to pay higher mortgage, auto loan and credit card rates, though that can add hundreds of thousands to the interest you pay over your lifetime. You might be completely unable to borrow, preventing you from acquiring assets such as your own home, or starting your own business. Just as bad, many employers now check credit reports before hiring or promoting staff, and the federal government routinely consults them before issuing security clearances. If you've been unlucky, or messed up your own finances, that's something you have to live with. But if you're entirely blameless, and the problem is an error on your report, the injustice is extreme. When CBS News investigated the issue last year in its "60 Minutes" show "40 Million Mistakes: Is your credit report accurate?" it made painful viewing, and Ohio attorney general Mike DeWine told reporter Jon Leibowitz, "I think the more we look at this and the more the American people know about this, the madder they're going to get." Although it's true that items usually stay on a credit report for a few years, inaccuracies can have a more sustained effect. A long period during which it's impossible to borrow from mainstream lenders can drive consumers to payday and other expensive fringe loans. And the consequences of that can last much of a lifetime. Mixing up identities: One person's adverse information appears on somebody else's report, often because they have similar names or other identifiers. Bureaus' system limitations: Events are reduced to codes, but there are no codes for some events, for example, the short sale of a home. So this could be recorded as "settled for less than full amount" or "foreclosure started," neither which represents the true situation. Data furnishers' issues: Data furnishers are the companies (mostly mortgage, auto loan, credit card and other lenders, but also debt collectors and so on) who report your accounts and payments to the credit bureaus. All it takes is for an employee to key in the wrong code or for a computer glitch to occur for your report to contain misinformation. Debt collectors' inaccuracies: Most adverse items should disappear from your report after seven years. But some debt collectors illegally restart the clock (it's called "re-aging" in the industry) to maintain their leverage over you. 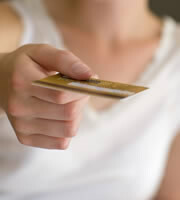 Identity theft: If someone hijacks your identity, their bad behavior can haunt your credit report. Most of these errors are easy to understand: people make mistakes. What many find unforgivable, however, is the difficulty involved in getting issues corrected. Some victims spend years trying, building up thick dossiers of correspondence and logs of calls, and yet still find it simply impossible. A big part of the problem is that credit bureaus take the word of data furnishers too readily. If the lender says an error isn't an error -- perhaps because it fails to investigate the complaint fully or even at all -- then in many cases that's the end of the matter. And yet the Fair Credit Reporting Act says differently: The Consumers Union report asserts that the Fair Credit Reporting Act requires consumer reporting agencies "to remove any information from a report that 'cannot be verified,' thus furnishers have the responsibility to prove the consumer wrong." Will the current court case in Mississippi right this wrong? Who knows? But, as awareness of the problem -- its scale and the manifest injustices it brings -- grows, the pressure could become irresistible for credit bureaus to properly verify the information they publish, to investigate errors properly and to correct them in a timely manner. 0 Responses to "Correcting credit report errors could get easier"